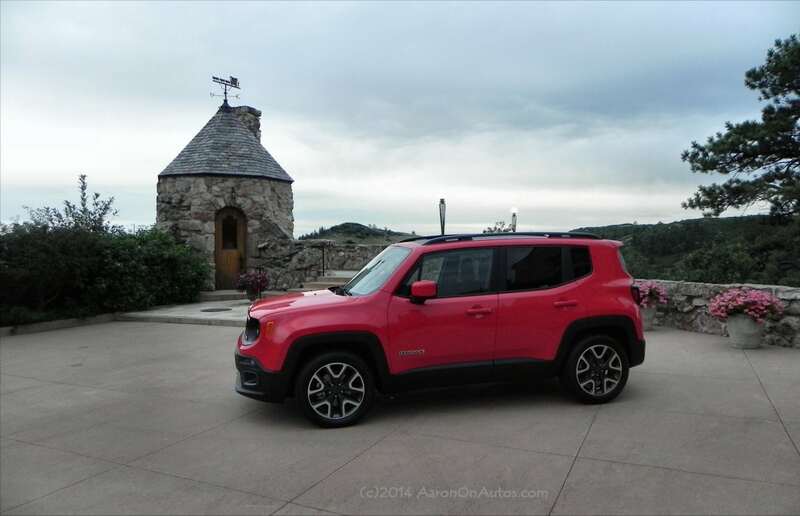 This week, Car News Cafe was invited to attend a design tour stop for the all-new 2015 Jeep Renegade. As Chrysler fades out the Compass and Patriot models, the new compact sport utility called the Renegade will take over for them as the brand’s entry-level offering. 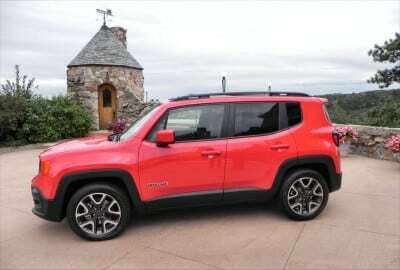 The new crossover has a lot of unique style and marks a decidedly different direction for the Jeep brand, up to and including the fact that this new Jeep won’t be made in America nor will the U.S. be its primary marketplace. The 2015 Jeep Renegade will be made in Italy and will be sold in 100 markets globally and the company expects that, for the first time, a Jeep-branded vehicle will sell more units overseas than it will in the United States. 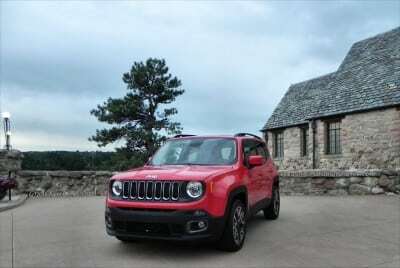 Yet Jeep will do this by making sure that plenty of Americana appeal and Jeep legacy is embedded in the Renegade along with a mix of European styling to keep it global. 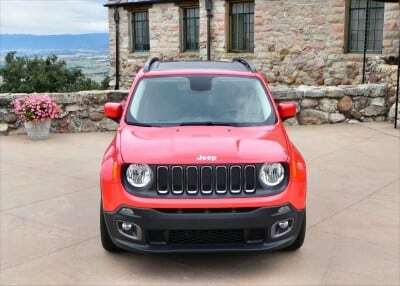 The result, on first glance, gives a mixed reaction but it doesn’t take long for this new Jeep to grow on you. 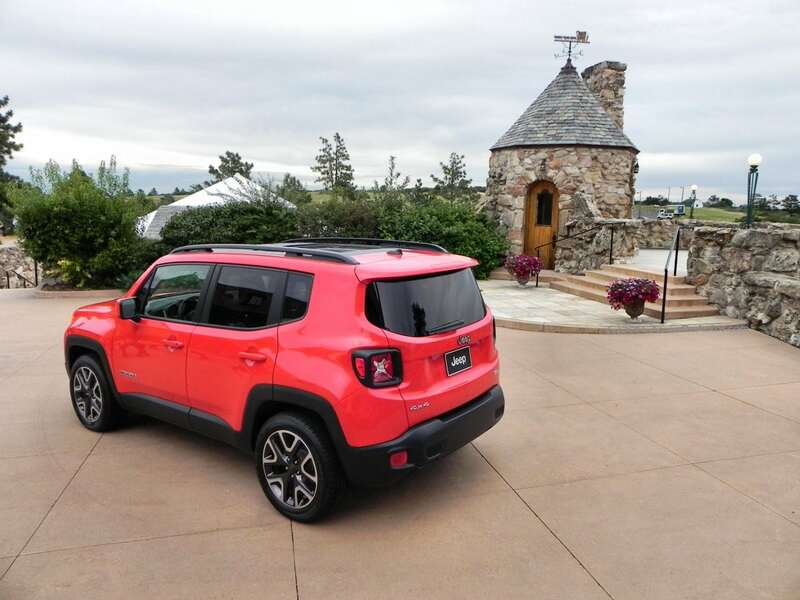 Most of the automotive journalists on hand at the showcase event held, appropriately, at Cherokee Mansion near Denver, Colorado, were grasping for comparison models from the market for the Renegade. Maybe the Nissan Juke or the Subaru Forester or the Kia Soul? Not quite. 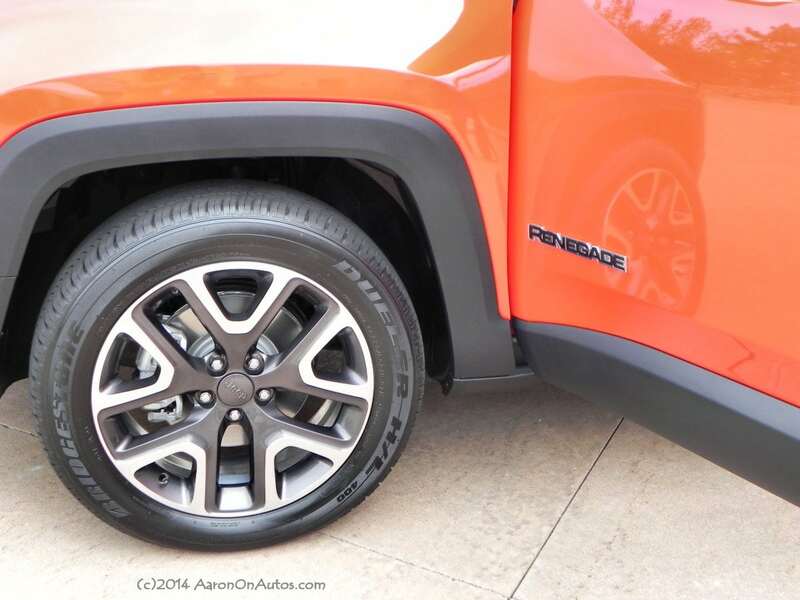 None are really comparable once you dig into the details of this new Jeep Renegade. 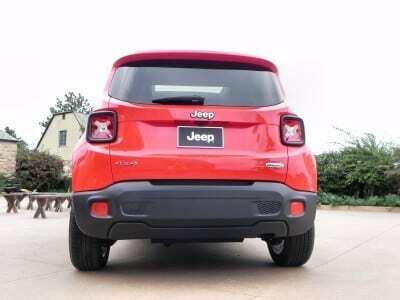 The underpinnings for the new Jeep Renegade are, surprisingly, from Fiat. 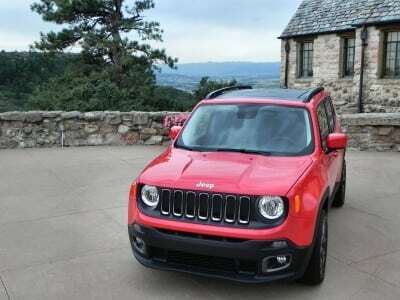 The chassis is the new “small-wide 4×4 architecture” that Fiat-Chrysler plans to use on several international models going forward. 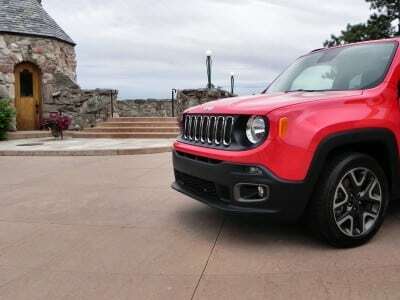 This is a mixture of the Fiat 500L’s four-door vehicle chassis and Jeep’s legendary (and proprietary) four-by-four technical capability. The 2015 Renegade is slightly shorter than the Fiat 500L (in length), making it smaller than the Compass and Patriot as well. It’s roughly the same height as the 500L, but has a wider track and shorter wheelbase. When it’s all summed up, the 500L shows up in a few places, but most will not see it until they get inside the Renegade and begin to note the overall shape that creates a huge amount of space inside what appears to be a tiny box from the outside. 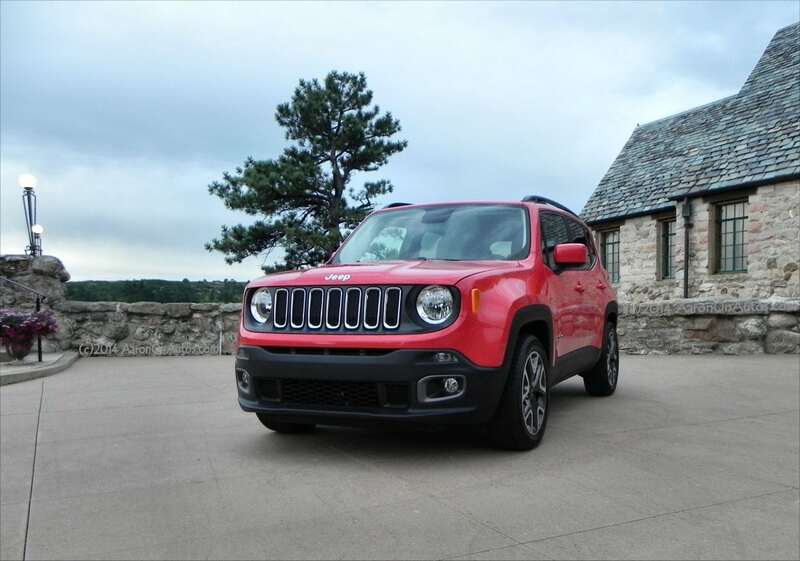 Individual design elements on the 2015 Jeep Renegade are, alone, sometimes horrifying and at other times hokey, but when they’re added up into a whole, they become a satisfying totality. 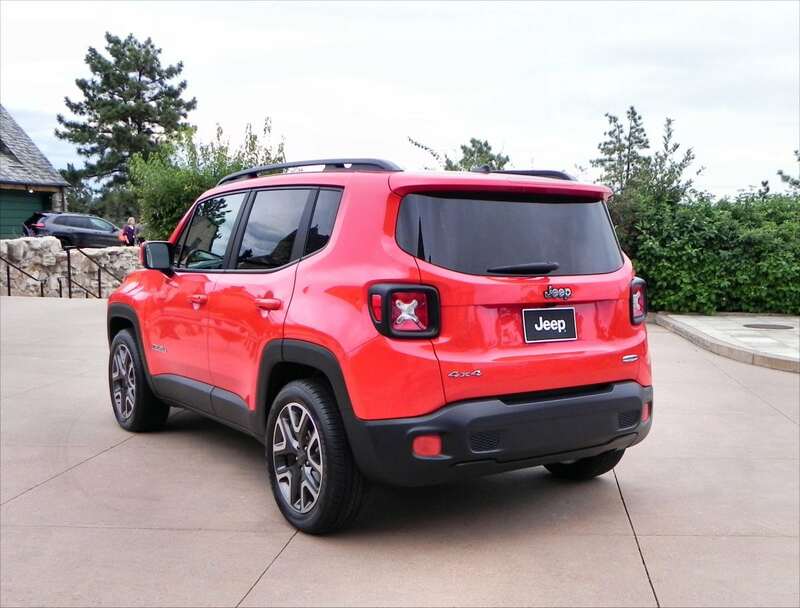 Many of the design cues and elements that make up the overall look of the Renegade were deliberately inspired by the Wrangler, which itself comes from the Willys of old. Mark Allen, Head of Jeep Design, walked us through the cues given in the Renegade on this level. 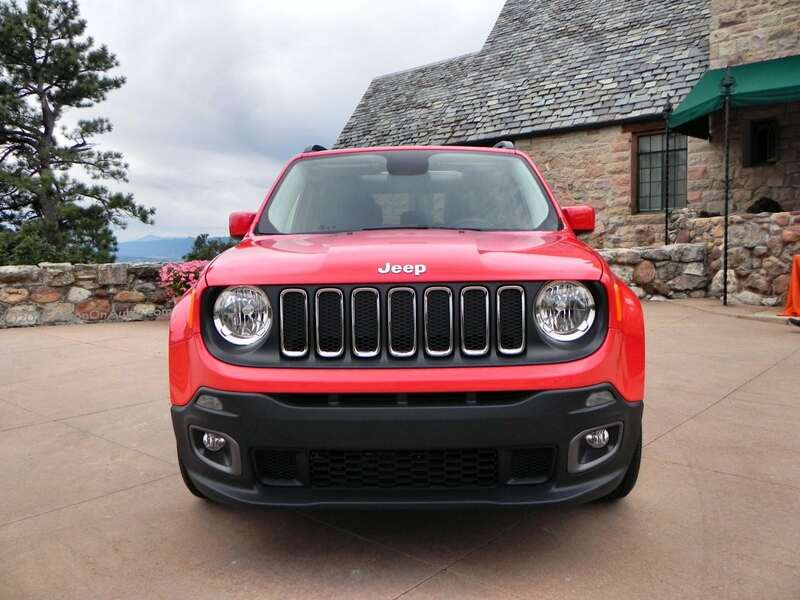 The obvious starts with the vertical grille “teeth” that mark most Jeep vehicles and the trapezoidal wheel arches that come directly from the Willys that started it all. Yet other hints like multiple “X forms,” most notably on the tail lamps and lightly marked in the headlamps, continue this Wrangler-esque homage. 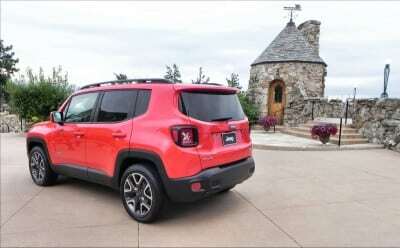 Unusually, the Renegade sports a low belt line for its class, allowing for a “taller” and more open look. 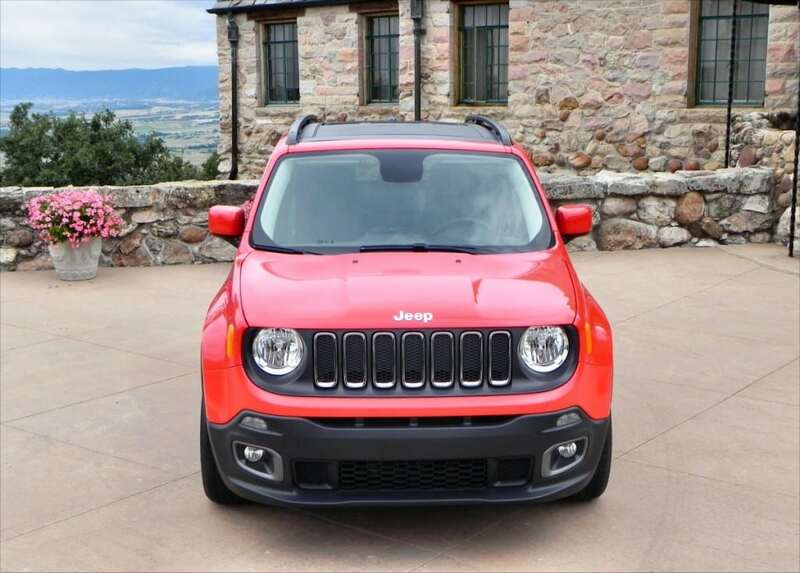 Verticle lines, again straight from the Wrangler, also abound from the front fascia, through to the windscreen and over to the hatchback despite its spoiler. 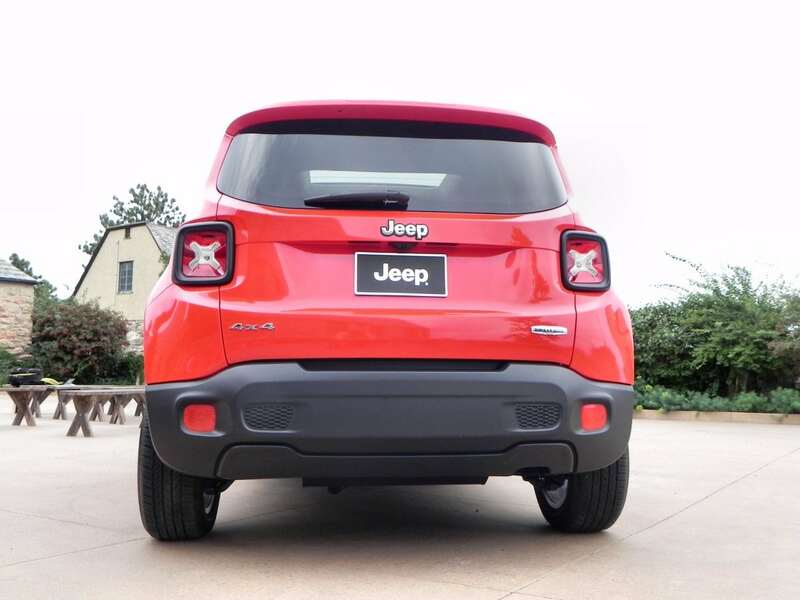 The complete symmetry of the vertical lines and squared-off shape of the Jeep Renegade are somehow satisfying once you’ve taken it all in. Another odd, but somehow fitting touch for the Renegade are the “My Sky” panels which can be removed to open up the interior. These are literally roof panels, akin to very large sunroof panels, that can be taken off and stored in the cargo area to make for an open top similar to that found on the Wrangler hard top. Although a bit clunky for everyday use, there are sure to be after-market soft covers for fast installation when the weather suddenly turns. This will make up for the rather drawn out removal and installation process of the hard panels for this My Sky system. Nevertheless, this is an unusual feature that is sure to endear the Renegade to many. The Jeep Renegade will have four trim levels, including a Trailhawk offroad-centric option. 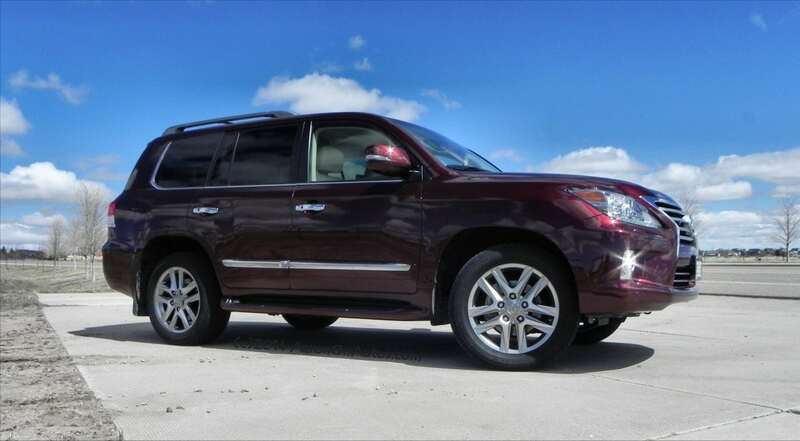 The base trim will be called the Sport with the Latitude coming next (the model we saw), followed by the Limited. Base pricing has not been announced, but Jim Morrison, Head of the Jeep Brand in North America, says it will be under $20,000 to start. All of the Renegade models will feature all-wheel drive and will utilize the unique Chrysler magnetic disconnection system to allow the vehicle to become front-wheel driven to improve fuel economy. This switch is done automatically, without user input, and the Renegade will go back to four-wheel drive as needed. The Trailhawk model will include four-wheel drive and offroad controls, of course, including differential locking and hill descent/ascent creep. Although there are no EPA numbers for fuel economy, Jeep believes this new Renegade will achieve well over 30 on the highway. 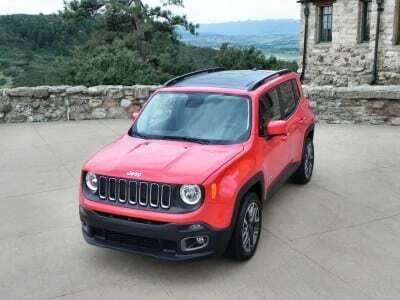 Interestingly, two engine options will be available, including a Jeep first courtesy of Fiat. 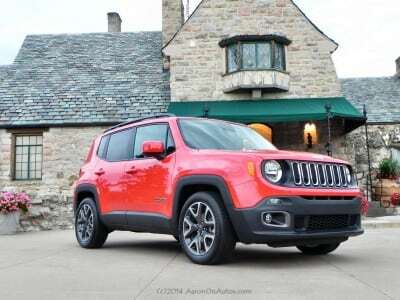 The standard engine will be a 2.4-liter inline-four cylinder TigerShark paired with a nine-speed automatic transmission (another segment-first for the Renegade). 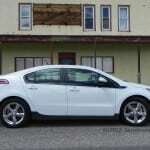 Interestingly, a 1.4-liter MultiAir Turbo will also be offered in some trims, mated to a six-speed manual transmission. 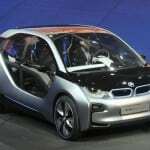 This one will likely see popularity in Europe and South America, but the uptake in the U.S. may prove surprising. Although our introduction was brief and our time with the new Renegade was short, it left a good impression. 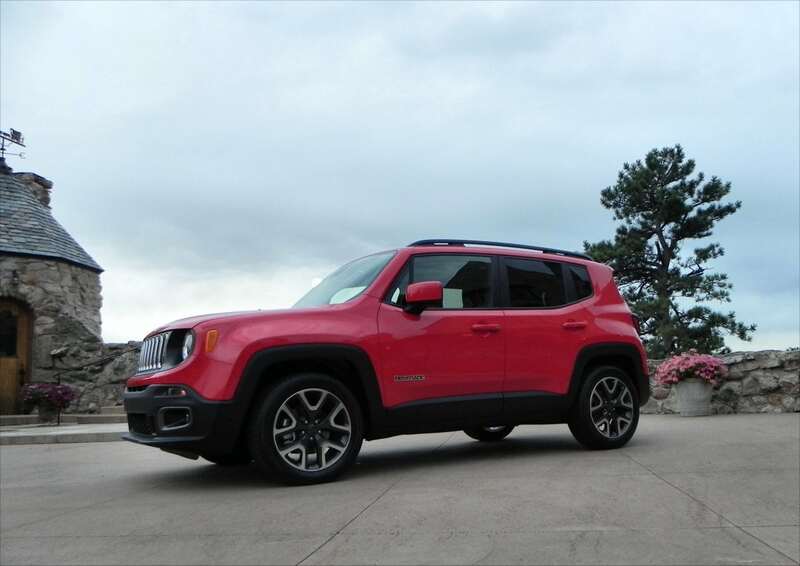 The small platform and unique styling the Renegade has are sure to make it a hit globally and a favorite entry-level Jeep domestically. 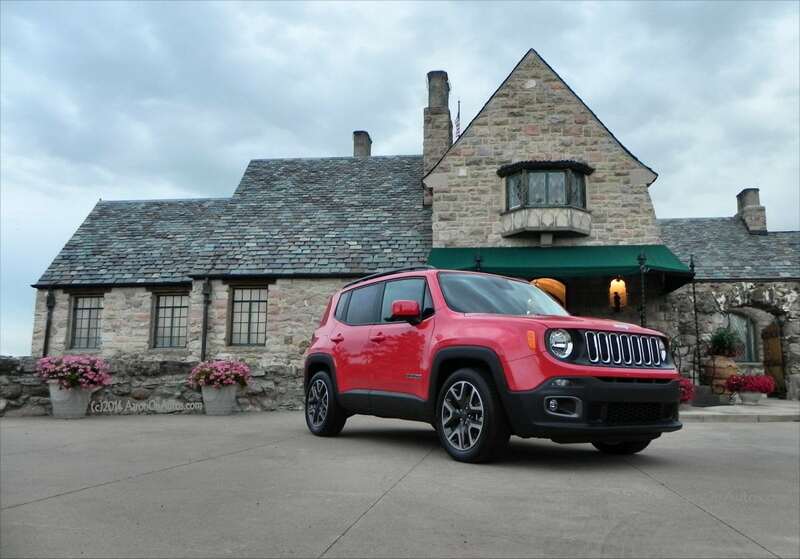 We’d like to thank Jeep for inviting us to come have dinner with them and spend some time with the new Renegade before it enters showrooms. Buyers interested in the Jeep Renegade will have to try to be patient as it doesn’t launch in the U.S. until after January 1. 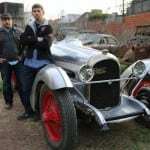 Note: complementary cocktails, dinner, and an overnight stay were provided by Chrysler for this event. 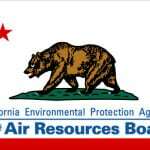 Otherwise, no incentives were offered for our review.